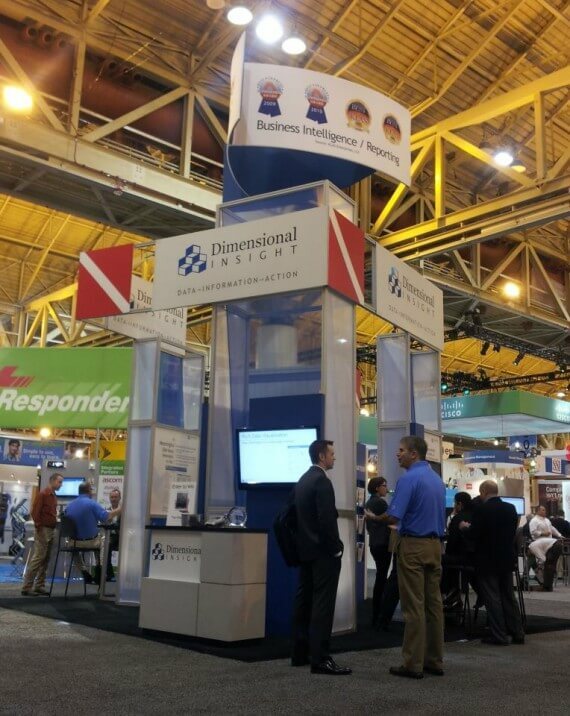 Dimensional Insight recently participated in one of the key Health Sector events of 2013 – HIMSS in new Orleans. Our picture shows DI’s Ron Felt explaining how Business Intelligence solutions from Dimensional Insight help hospitals improve decision-support and compliance reporting with improved analytics, dashboards, scorecards, and reports. HIMSS (Healthcare Information and Management Systems Society) is a cause-based, not-for-profit organization exclusively focused on providing global leadership for the optimal use of information technology (IT) and management systems for the betterment of healthcare. Founded 52 years ago, HIMSS and its related organizations are headquartered in Chicago with additional offices in the United States, Europe and Asia. HIMSS represents nearly 50,000 individual members, of whom more than two-thirds work in healthcare provider, governmental and not-for-profit organizations.